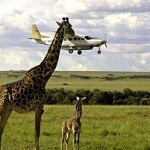 Flying safari offers you the flexibility to see many different destinations ina short space of time. It also gives you the change to see Africa’s wilderness areas from the air – a sight to be seen! 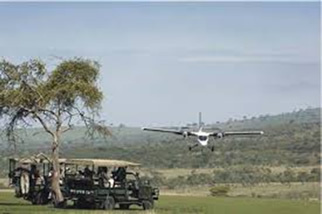 We offer scheduled fly-in safaris or we can tailor make a fly in safari for you on a private basis. The safari camps and lodges used on these safaris range from luxurious to comfortable, all offering exceptional service and attention. 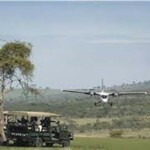 5Day Flying charter Safari to Serengeti &Ngorongoro Crater. The 5Day Tanzania flying safari take you to Serengeti and Ngorongoro crater. Take to the air and avoid long driving distances; enjoy magnificent aerial views of the Great Rift Valley with its rivers, lakes and mountains. 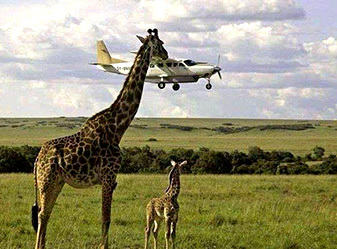 Most of Tanzania’s National Parks and Game Reserves have well-maintained airstrips in the immediate vicinity of tourist lodges, and several private aviation companies offer daily scheduled flights as well as charters. This wonderful air safari with excellent game viewing will immerse you in old style hospitality with hosts that help you enjoy game viewing to the full in three diverse parts of Kenya: Amboseli, the Masaimara and Tsavo. You will Visit these 3 parks with luxury camp stays. Tour type: Youth and Family, Nature& Wildlife, Extreme Sport. Availability 90% Sure, Book today.